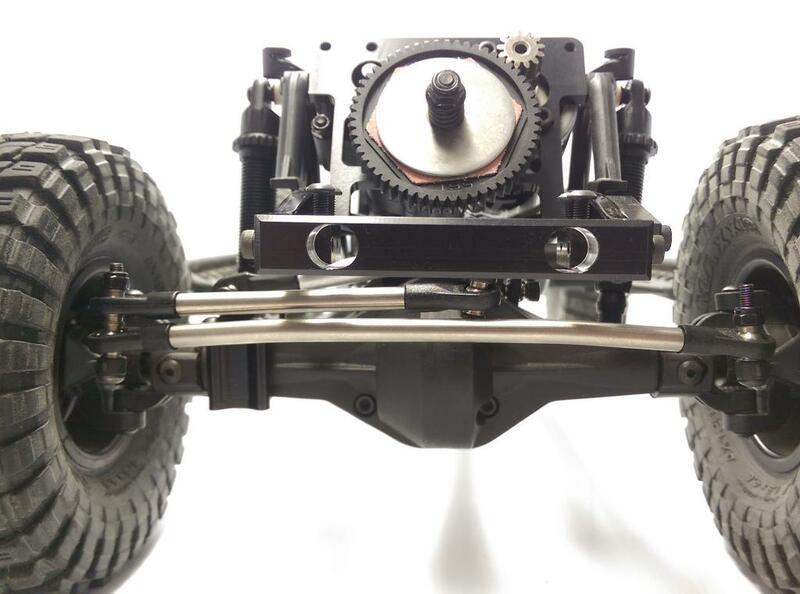 The SCX10 Front Bumper and Servo Mount will replace the plastic bumper mount on the nose of the SCX10 frame, and you will get a very solid billet aluminum nose section. 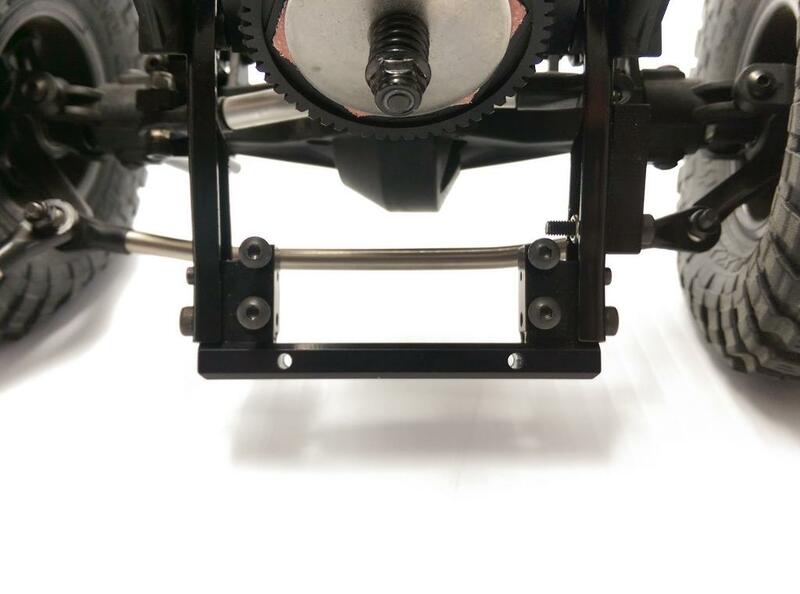 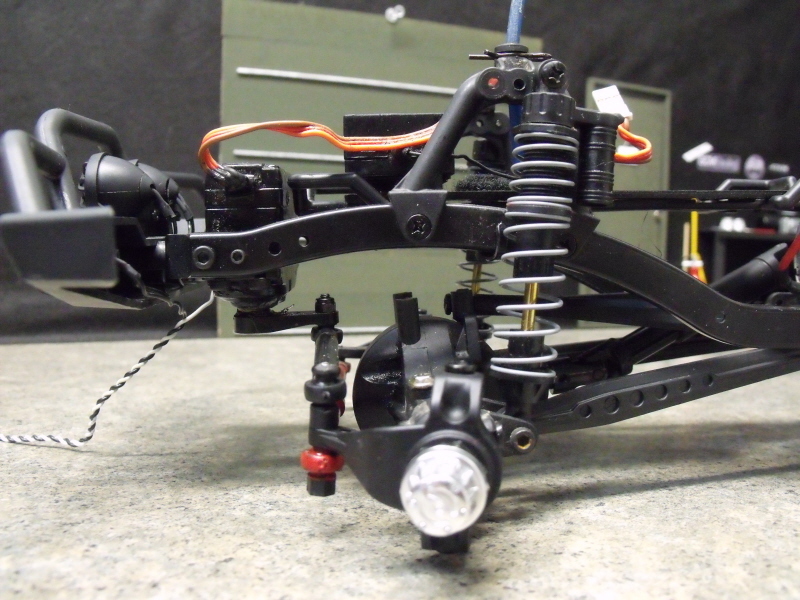 You can mount the servo on the frame, or leave it empty, but in any case, there will be no more sloppy bumper mount for you. 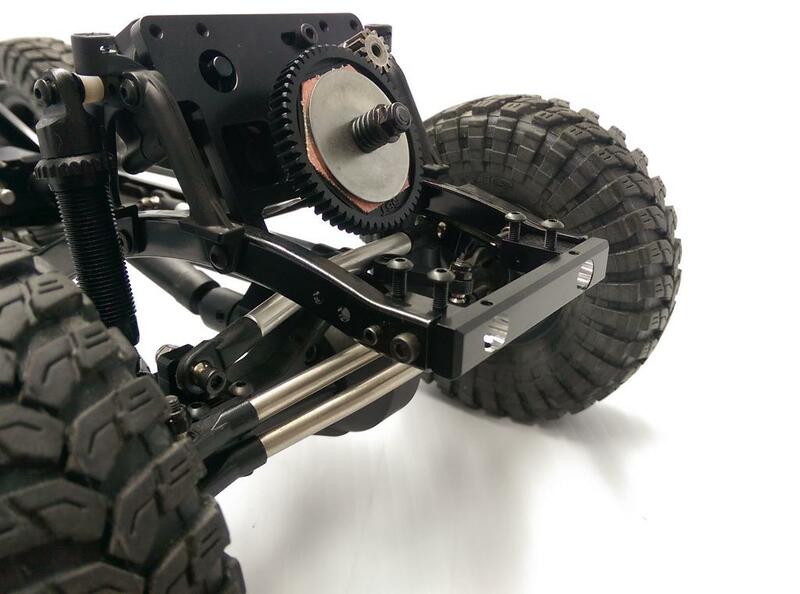 The stock plastic bumper fingers will require trimming to size to use a servo in the same mount, but both can be used together. 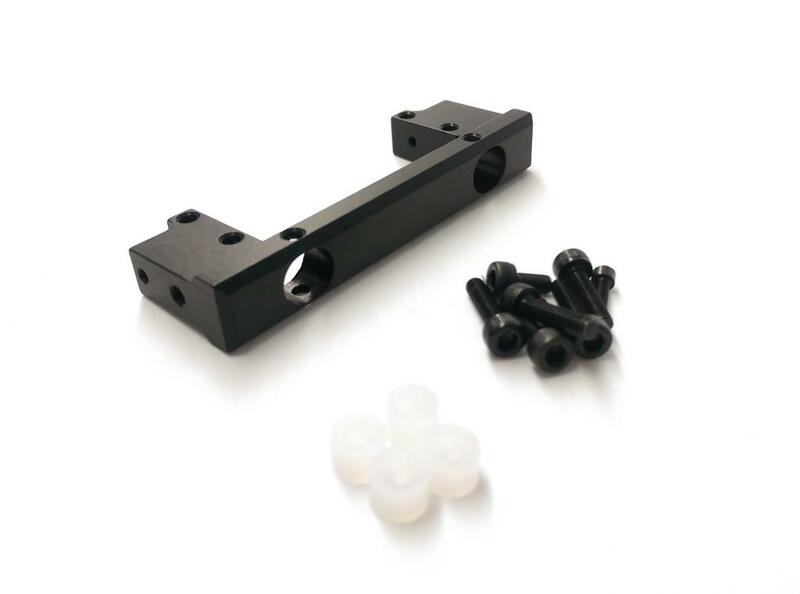 Comes with all hex hardware and only in BLACK.